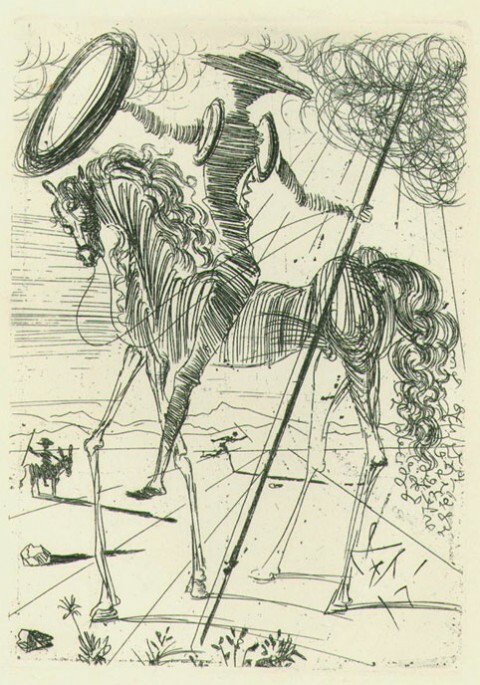 A few weeks back, we brought you Salvador Dalí’s 100 Illustrations of Dante’s The Divine Comedy and mentioned that we were saving Dalí’s drawings of Don Quixote for another day. Well, that day has come. In the early 1960s, a Swiss publisher commissioned Dalí to create a print edition celebrating five real and imagined figures who loom large in the Spanish cultural imagination. The collection was called The Five Spanish Immortals, and it featured sketches of Cervantes, Europe's first great novelist and his unforgettable protagonist, Don Quixote. The book also paid homage to the medieval hero El Cid; the master painter El Greco; and Diego Rodríguez de Silva y Velázquez -- someone The Met calls "the most admired—perhaps the greatest—European painter who ever lived." Cervantes appears above, and the remaining quartet below. 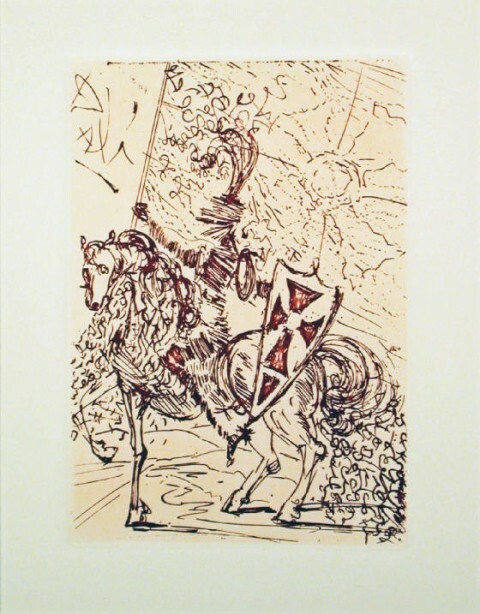 A Don Quixote print was part of my only quasi-“Antiques Roadshow” moment. A neighbor moving out gave me some things to throw into my yard sale (Eastern Market, DC), including a neat print of a Coke bottle (priced 5 bucks for the frame). At the end of the day, I was going thru unsold things. 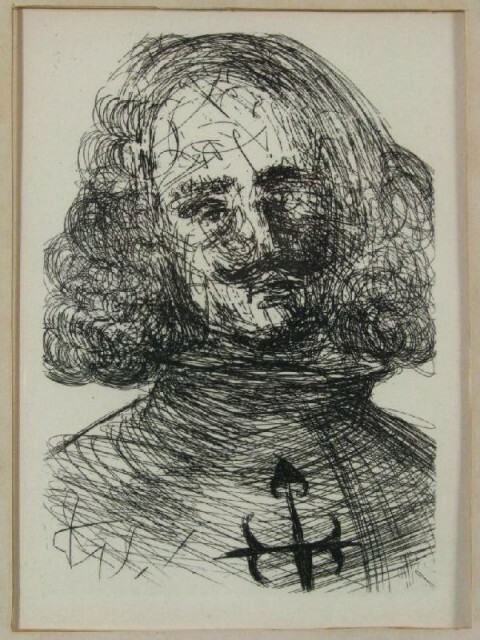 Written on the back of the Coke print, “Dali behind Coke”. Sure enough, the real deal. I took it across the street to the antiques shop (convenient!) and the owner confirmed it was real. My neighbors had left no forwarding, so it went up on ebay. Easily 10 times what I made in the whole rest of the yard sale. I appreciate the quality of content that you are advancing. It is very refreshing and sorely needed. Thank you. 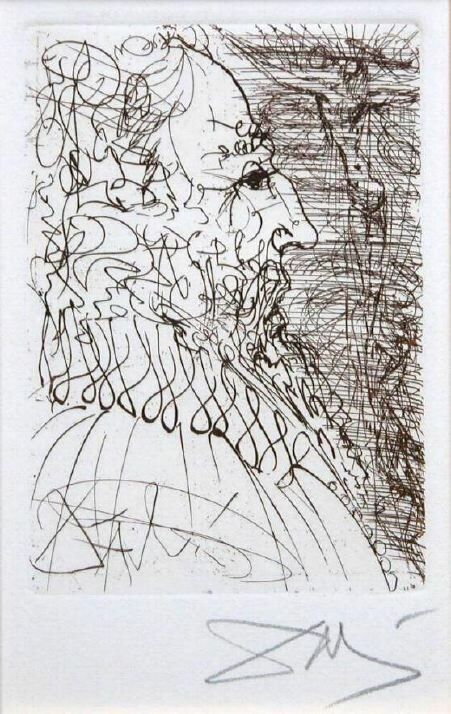 Estoy vendiendo los sketches de Salvador Dali del Don Quixote y el Cid si alguen estaa interesado que me escriba o me llame por telefono 772 626 7939 …l am selling sketches of Salvvador Dali of Don Quixote and the Cid. 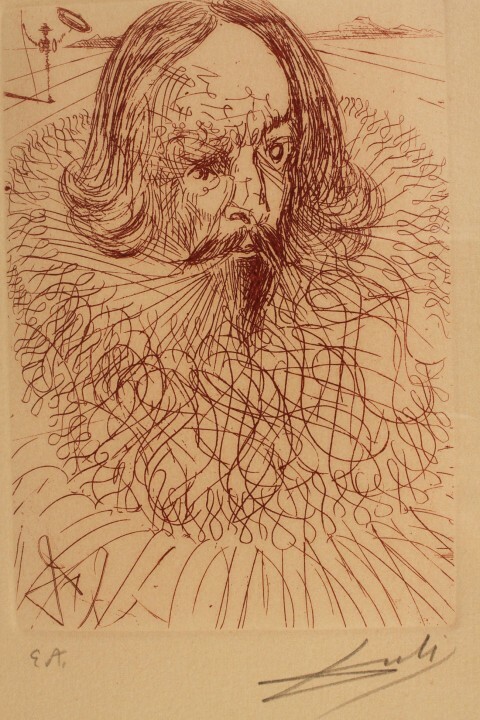 I Have the original of the Velasquez self portrait. Contact me for more information.